As we have already informed you earlier today that Apple has released the final version of iPhone 3.2 SDK, including iPhone OS 3.2 (or iPad 3.2) for iPad to developers. This version of OS is compatible to work with iPad only. You can get your hands on the SDK now and start exploring the amazing things that you can do with it before the actual device, which ships on April 3rd. Legal documentation, or the end-user licensing agreement was also part of the OS and SDK release today. An extract from the iPad licensing agreement states the following about the future OS upgrades on iPad. Apple will provide you any iPad OS software updates that it may release from time to time, up to and including the next major iPad OS software release following the version of iPad OS software that originally shipped from Apple on your iPad, for free. 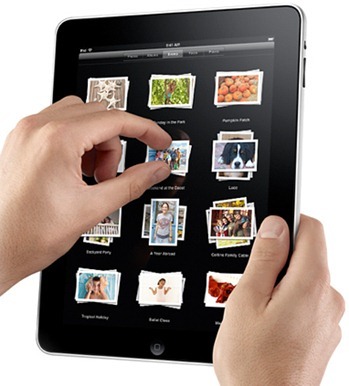 For example, if your iPad originally shipped with iPad 3.x software, Apple would provide you with any iPad OS software updates it might release up to and including the iPad 4.x software release. Such updates and releases may not necessarily include all of the new software features that Apple releases for newer iPad models. UPDATE 1: iTunes 9.1 is here! Brings Support for iPad ! More info here. UPDATE 2: Jailbreak iPad with Blackra1n is confirmed by Geohot! More info here. iPhone 4.1 to Unify iPhone and iPad OS? I think you've got the wrong idea, to me that looks like they are saying that future iPad's might have new features (Like the 3GS has Voice Control VS 3G not having it) which won't be a feature in later releases. Why would they charge for updates?